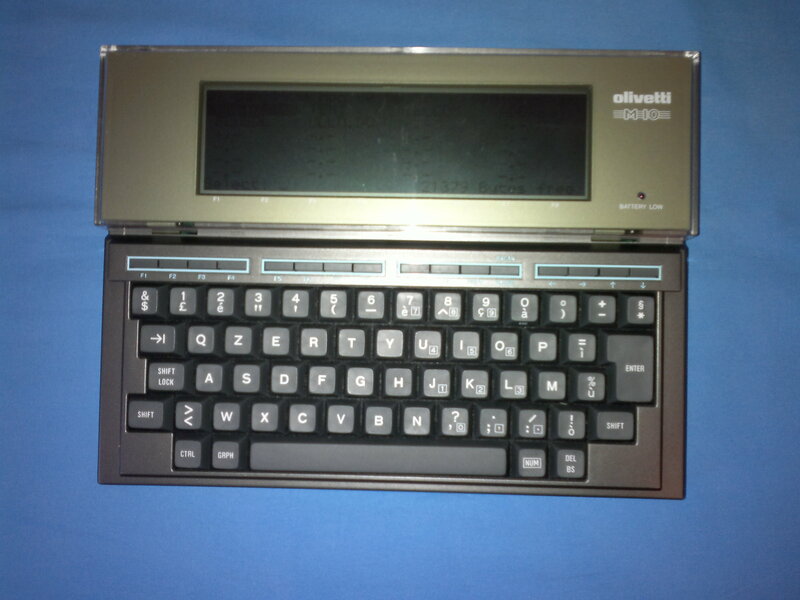 This entry was posted in Technology and tagged computer, M10, Olivetti, technology by Marco Ullasci. Bookmark the permalink. can you stil upload data from the m10 to a pc with windows 7? I never tried to move data. I think that would be relatively complex and requiring a USB-to-serial adapter on a modern PC plus a terminal application to use the serial port to move the data. with windows95, a procomm terminal. program, ,a zero modem with 2 serial plugs I could make the connection between m10 usingits own terminalprogram and the pc. I did write small stories onth em10 and could transfert the data.